May 2018 was marked by a crackdown on protests and diverse cases of human rights abuse. This includes at least 16 executions, five flogging sentences, 17 cases of state sponsored killings, increased pressure on prisoners, beating street vendors and destroying people’s houses by the municipality agents, cutting an elementary girl’s hair for mal-veiling, and crackdown on nationwide peaceful protests staged by different social sectors. One of the most important developments in the month of May was demonstrations in the southern city of Kazerun, against a plan to divide the city. The peaceful protests turned deadly on May 16, when the Iranian regime’s security forces opened fire on protesters. Numerous video clips from inside Kazerun show plainclothes agents shooting protesters from the judiciary building rooftop. Other videos, vividly depict the large number of security forces dispatched by authorities from nearby cities such as Shiraz, and even Tehran, to quell the protests. Iran HRM has registered 16 executions in the month of May. Seven were made public by the state media and three were carried out in public. – Prison officials summoned Ramin Hossein Panahi on May 19 and told him that his execution would be carried out after 15 June, when the Muslim month of Ramadan ends. Supreme Court upheld the death sentence against Salas, 51, for allegedly driving a public bus through a narrow street during clashes between security forces and the dervishes in Tehran on February 19, killing the policemen. In an audio file release by his lawyer, Zeynab Taheri, He denies the charges, reiterating he was forced to confess after being tortured while under interrogations. – Farideh Salehi from Marivan Township being in jail for 17 years is facing the danger of execution after Ramadan. In a call she said: “I have been freed on bail of 400 million tomans, provided by a nice woman since three months ago until the end of Ramadan so that I can provide the ransom money…unfortunately no hard I tried I couldn’t collect the money demanded.” She was arrested in 2001 charged with the murder of her husband. She is now 55. – Jamiley Sadeghi, woman prisoner from Qarveh (in Kurdistan Province) jailed for 15 years in Sanandaj Central Prison has not been on any leave so far. A reliable source said that this woman was arrested in 2003 accused of murdering her husband. Jamileh was condemned to death after detention, by Qarveh Township’s penal court and is on death row since then. Iran Human Rights Monitor recorded 17 arbitrary murders. This include 9 poor porters who were shot and killed by the Iran’s Border Guards and the SSF. At least four individuals were shot dead during the protests in Kazerun, southern Iran. – Iran’s armed forces shot a group of porter borders and killed one on Tuesday. The young porter is identified as Taher Hekmati, 33. He was married and had four children. – May 8, Parviz Zare Zehi, citizen of Khash Township (southeast of Iran) was killed by the direct shooting of Relief Unit agents. The agents fled the scene after shooting. During the last 17 months this is the 70th Baluch killed by Disciplinary agents. There has been no positive reaction so far from the officials to solve this acute problem and the report of killings is censored in internal media. – May 19, Saravan (in Systan & Baluchistan Province) police shot at a vehicle carrying 4 bags of rice and killed a Baloch youth. He is not identified yet. Clip received from eye witnesses show that people protest the act and police forces are preventing them from taping the scene. During the last 17 months this is the 71st Baloch who has been killed or wounded in the shooting by Disciplinary agents. Last month in such a shooting at a vehicle with Afghan immigrants as passengers, 19 people were killed and wounded. – May 20, a young border porter from Urmia was killed when Iran’s armed forces shot at him. He is identified as Maysam Karim Ali, 27 and father of three girls. – May 25, the agents of a post in Karti, subsection of Kirdof (located in Jusk Township in Hormozgan province) started throwing stones at a fuel vehicle. Stones hit the drivers’ head, the vehicle went astray and the driver, Ramin Gorgij, 26 and a 25-year-old Rashed Baluch were killed. – May 29, 2018, the Iranian armed forces targeted a group of border porters along the Sheno and Sidakan boundaries, killing one porter and severely injuring the other. The deceased porter was identified as Ribar Moradi, a 28-year old who was married and had a child. Two prisoners committed suicide while in custody due to harsh prison conditions. At least one inmate lost his life due to being denied access to adequate medical treatment. – Mehdi Koohkan, 29, hanged himself when he was transferred to quarantine section of Zahedan Central Prison, and died. He was confined for robbery. “Mehdi Koohkan was psychologically ill and suffered from problems in his nervous system. He shouted and made noise because of his pains so he was taken to quarantine section where he hanged himself using the strip of her clothing”, said and informed source. – A 40 years old prisoner, named Gholam Nabi Rigi, who was sentenced to death, died in Zahedan Central Prison due to lack of timely medical treatment. An informed source said that Gholam Nabi Rigi was kept in Zahedan Central Prison for about 8 months. – Branch one of Kalat Naderi penal court in Khorasan Razavi Province (east of Iran) has sentenced Alireza Sepahi Laeen, a Kurd writer and poet to receive 74 cable strokes for “offending the officials”. He was summoned last year and arrested on Nov. 30, charged with “spreading lies and disrupting public opinion” and then freed on bail on Dec. 9. – Branch 36 of Tehran Province’s revision court sentenced civil activist, Mohammad Mozafari, who was charged with “propagation against the establishment” to serve two years in jail, receive 74 cable strokes and pay a two million tomans fine; endorsing the same sentence issued by the preliminary court. The sentence was imparted to his lawyer today. Mr. Mozafari was formerly arrested on Feb. 15, 2015 and was transferred to ward 2A of IRGC’s intelligence detention center at Evin Prison. – Milad Kaji, a young 18-year-old Kurd citizen, was sentenced to 10 years imprisonment. The Revolutionary Court of Sardasht has sentenced the youngster due to cooperation with the Kurdish opposition parties. He is currently serving his sentence in Sardasht Prison. Iran Human Rights Monitor registered 410 arrests across the country, 148 politically motivated arrests, 7 arrests on religious and ethnic grounds, and 255 social arrests. – The state security forces arrested 10 individuals including two women in front of the regime’s parliament who staged a rally to mark May Day. Two labour activists were also arrested on the same day in the western city of Sanandaj, Iranian Kurdistan. – Three women were summoned to court and transferred to the Prison of Ahwaz on Sunday, May 13, 2018. Neda Sabeti, Forough Farzaneh and Nooshin Afshar who had been earlier freed from the detention center of the Intelligence Department of Ahwaz on Saturday, May 12, 2018, were re-arrested and place in jail. All three women are followers of the Baha’i faith. – May 7, security forces in Hormozgan Province have arrested more than 40 environmental activists in various cities of the province, bringing the total number of environmental activists in jail to 55 as one activist, Mojgan Jamshidi, has observed on her Twitter page. – Security forces violently broken up a teachers’ rally held in front of the planning and budget organization building in Tehran, beating up some of the demonstrators and arresting at least 15 of them. The detainees were transferred to Evin Court with handcuffs and shackles. – 10 activists from Azerbaijan northwest of Iran, were arrested in the city of Naqqadeh. These individuals have had no phone calls with their family members in the first days. At least 16 prisoners had to go on hunger strike to have their rights recognized under harsh prison conditions. Eight Ahwazi Arab detainees who had been arrested during the protests over the state TV insult, staged a hunger strike to protest high bailbonds set for them. – It is for several days that eight people arrested in Khozestan’s peaceful demonstrations have gone on hunger strike to protest prison’s dire conditions and heavy bails. 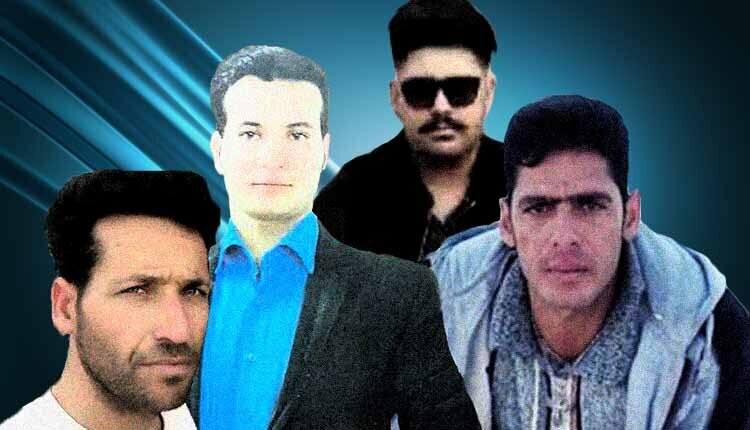 They are: Adeh Obayavi-poor, 25; Mehdi Majdi Obaydavi, Bagher Obaydavi, Bashir Tamimi, Hamzeh Saedi, Mohammad Shakhi, Ali Shakhi and Ahmad Afri, 29. These people are from city of Hamidieh and are arrested because they are Sunnis. They have been kept in Shayban Prison in Ahwaz for 10 months under custody without their files being referred to court. Their detention is constantly extended. – Political prisoner Soheil Arabi, held in the great Tehran Penitentiary has been on hunger strike for nearly one month while deprived of any visits. He is protesting harsh prison conditions and his illegal detention in a ward where dangerous criminals are held which violated Iran’s own regulations on the principle of separation of crimes. The mother of political prisoner waited five hours Monday, to be able to visit her son, only to be told he is banned from prison visits. – Rohollah Mardani, a student from Tehran University and a teacher, staged a 27-day hunger strike in protest to his detention and his case not being attended to. – Two brothers, Davoud and Baha-o-Din Ghassemzadeh, started a hunger strike on May 9 protesting harsh prison conditions and the undetermined state of their case. Davoud suffers severe spinal cord injury and kidney disease. – Prison guards of The Great Tehran Penitentiary severely beat and broke the knee and shoulder of a young inmate, Morteza Chalehkesh on the pretext of breaking from the prison. – Maedeh Shabani-Nejad, 15, who was arrested in January for writing nationalistic and epical poetry in Arabic, remains in detention in Sepidar Prison of Ahwaz, southwestern Iran, because her family does not afford to pay the 350million-touman bail set for her release. Born in 2002, Ma’edeh Shabani-Nejad (Amouri) is a freshman at Reyhaneh High School in Abadan and is a brilliant student. She writes and publishes them on social media. The first time, Ms. Shabani was arrested was on October 17, 2017, when she was freed on bail after completion of her interrogations. The second time, she was arrested in her uncle’s house in Ahwaz on January 25, 2018, by the IRGC’s Department of Intelligence and transferred to the IRGC detention center. It was reported in late April that she has suffered GI hemorrhage and stomach ache under interrogation. Nevertheless, this figure must be considered as minimum due to lack of transparency of official sources disseminating the information on the arrests. – Hadi Salehi, a Sunni prisoner at Saghez Prison (northeast of Iran) was exiled. Faez Choopani the other Sunni prisoner of this prison was also exiled to city of Baneh. Hadi Salehi will serve 23 years and Faez Choopani six years. The Iranian regime has accused them of “acting against the national security” but these prisoners emphasized that they have just advertised for their religious beliefs. – Yaresan women are held in deplorable conditions in the Qarchak Prison in Varamin, recently published reports from Iran say. Sepideh Moradi, Sima Entesari, Shima Entessari, Avisha Jalaleddin, Shokoufeh Yadollahi, Maryam Farsiani, Nazill Noori, Maryam Barakouhi, Elham Ahmadi and Sedigheh Safabakht have been detained since February 20, 2018, in Qarchak Prison under inhuman conditions. Ms. Sepideh Moradi suffered injuries in the hand, elbow and fingers while being arrested during the Yaresan protest in Tehran. Her legs got burnt due to security forces’ use of tear gas, the scars of which still remain after three months. Ms. Moradi has been denied medical care. At the same time, these women are under pressure for their weekly visitations. Ms. Avisha Jalaleddin was deprived of visiting her young son. Prison authorities hardly accept the items provided for these women by their families and they are forced to buy their needed items at prices two to three times higher from the prison’s store. Two members of the Iranian regime’s so-called parliament have recently raised alarm bells regarding food shortages in four of the country’s provinces. 75 percent of Sistan & Baluchistan Province in southeast Iran are living in poverty, especially food shortages. “Sistan & Baluchistan Province ranks as the worst such province, followed by Hormozgan, Bushehr and South Khorasan,” according to Mohammad Amini Fard, a representative from Sistan & Baluchistan in the regime’s parliament. “Sistan & Baluchistan Province ranks very low regarding development and unjust wealth distribution, and unfortunately due to the lack of natural resources and an 18-year drought, the province is facing an enormous food shortage. This is why villagers have migrated to the outskirts of cities such as Zabol, Zahedan and Chabahar,” he said. University studies show the provincial population’s is lower in height and weight in comparison to the country’s averages, Amini Fard continued. Alim Yar Mohammadi, a parliament member from Zahedan, highlighted the grave circumstances of 75 percent of the province’s population grasping with food poverty. “The people of this province’s villages don’t have adequate drinking water or even bread. By any standards they are living in very poor conditions,” he said. “This province is home to all kinds of illnesses and this cannot be denied. Even in the city of Zahedan more than 350,000 people lack adequate running water and water trucks provide for many parts of the city,” Mohammadi added. “When the people of this province don’t enjoy adequate food supplies, it is highly likely people will start eating the meat of animals such as cats and crows. Various villages in the south near Chabahar are witnessing far worse conditions,” he continued.